Lydia - shy, sheltered, beautiful and just 19 - glides into Evensford one wintry day, stirring up feeling amongst the town's young men. But it is the young Mr Richardson that she befriends. As winter turns to drowsy summer, his world becomes a wondrous place, full only of Lydia; but a change comes over the once retiring girl as she discovers the effect she has on other men. As his closest friends fall under her spell, the love Richardson feels for Lydia becomes tangled with jealousy and resentment, a rift that may never be repaired. First published in 1952, Love for Lydia is a poignant look at love through the eyes of a boy growing up. Set amidst the hazy beauty of the English countryside and the crumbling splendour of the British upper classes, Bates demonstrates his ability to capture the complexities of human character, his remarkable talent for contrasting romance against stark reality, and the innocence, joy and sadness of young love. In a shorter review, I wrote that H.E. Bates’s Love for Lydia is like F. Scott Fitzgerald’s writing of neon lights and champagne jazz. 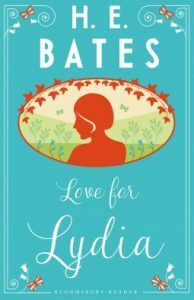 Bates’s writing is similar, transposed to the English countryside with pops of flowers against the countryside rather than fireworks against a city skyline. In Love for Lydia, we follow Richardson (our narrator) throughout his meeting of orphaned Lydia, his falling in love with Lydia, his letting go of Lydia, and everything that transpires between. Richardson is not part of “society,” but he is invited to spend time with Lydia so that she might expand her horizons. During the course of the novel and during the course of Richardson’s and Lydia’s attachment to one another, others are introduced into Lydia’s life and some vie for her attention, which in turn creates resentment and jealousy among everyone in their little friend group. Nature plays a prominent role in the book. It starts out in winter, thaws out in spring, overheats in summer, and culminates at the brink of autumn. The cycle of seasons is fitting to Richardson’s behavior and reactions, and serves as an outward representation of his internal dialogue. Richardson’s constant stopping to smell the roses also shows us that he’s aware of the details, of the implications, and the significance of beautiful things. His descriptions of flowers against the drab landscape show us how he feels particularly about Lydia; she’s his flower in the hardship of life. Lydia, a vixen in her newfound freedom and confidence, becomes aware of her sexuality and uses it to her advantage, but not without destroying the hearts of her beaux. It troubles her; it troubles Richardson who watches it unfold before his eyes. 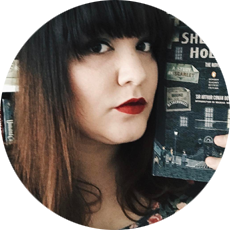 It’s a love story; it’s a story about parties and obsessive, destructive love in the Twenties; and it’s a very British one at that. Read it if you enjoyed Fitzgerald’s The Great Gatsby and Smith’s I Capture the Castle. Apparently it’s a little Hardy-ish, but I’ve never read Hardy, so I can’t make the comparison yet! Thank you to Netgalley and Bloomsbury for a review copy!